For a limited time only, purchase a Jeti DS-14 Basic 2.4GHz Radio System and instantly save $70.00! Hurry the sale will not last very much longer. The new Jeti DS-14 Basic transmitter allows you to create system that only includes what you actually need, but one that also gives you the opportunity for future expansion. 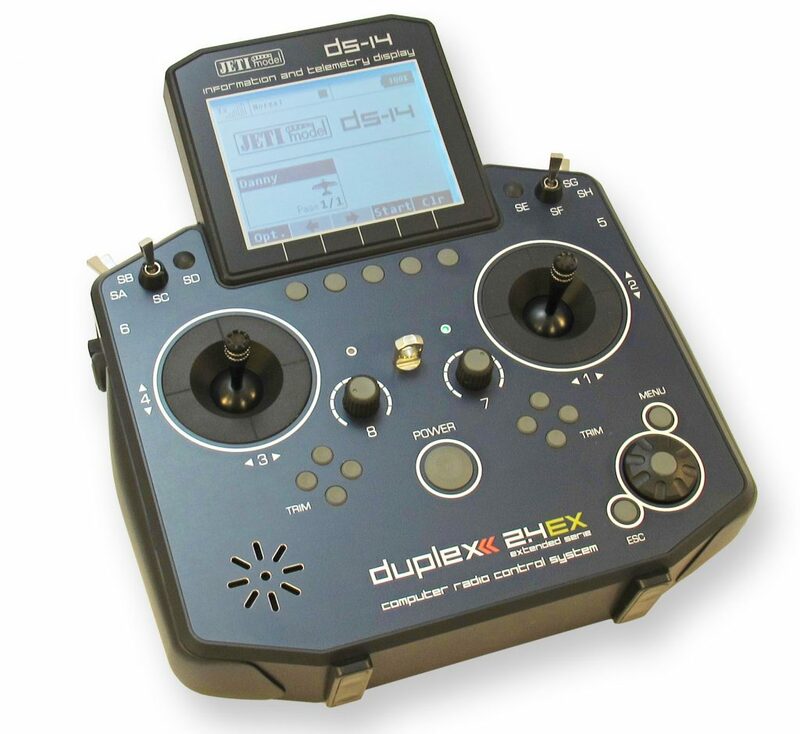 For the first time Jeti’s DS-14, State-of-the-art transmitter lets you customize its software and features. Now, you only pay for features that you will actually use. Save up front on a cutting edge radio system, but keep your options open for when your needs change. NEXT POST Next post: Welcome 2017!! !